All of our locations use the acclaimed viewing software written by Brian. We burn CDs and can print up to 13×19 at the event. 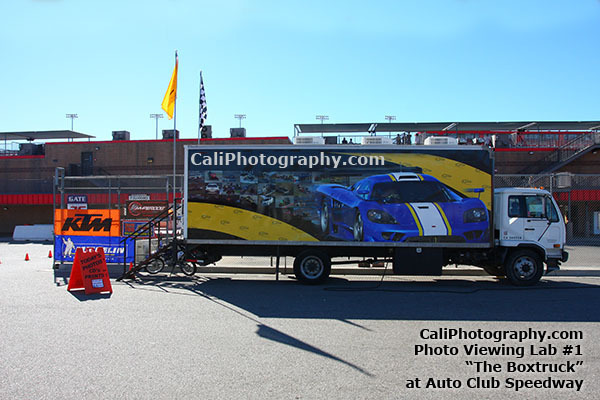 We are available seven days a week to cover your event. From it’s three roof mounted A/C’s to it’s nine viewing stations all the way to it’s aluminum diamond plate floor. Everything in this truck was specifically added to maximize the user experience of enjoying viewing their photos. The original CaliPhotography photo lab. 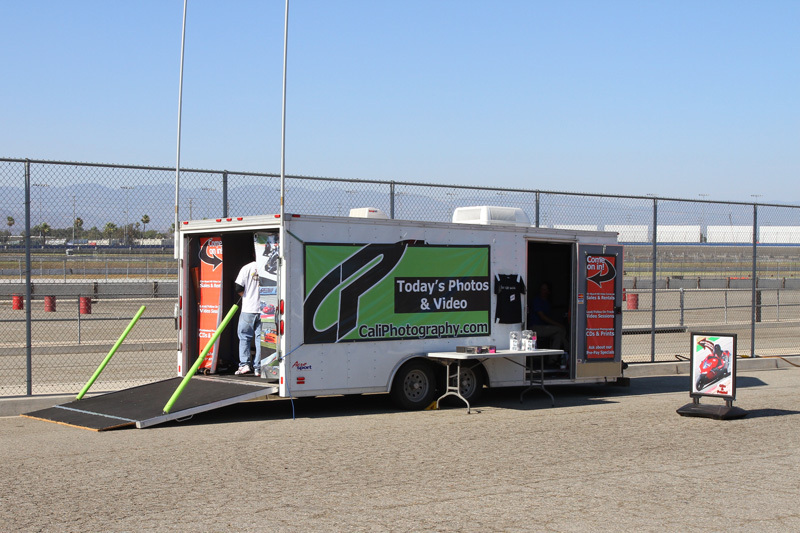 Roof mounted A/C and six viewing stations make this a great mobile setup for any event. 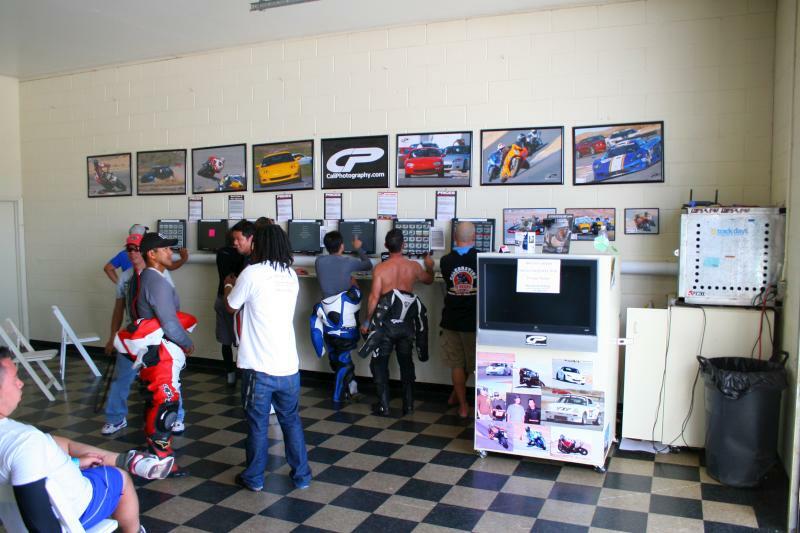 Located inside the Gift Shop at Willow Springs Raceway, we have seven touchscreen viewing stations, including one in the snack bar. We also have a 37″ HDTV in the Gift Shop and a 47″ HDTV in the snack bar. 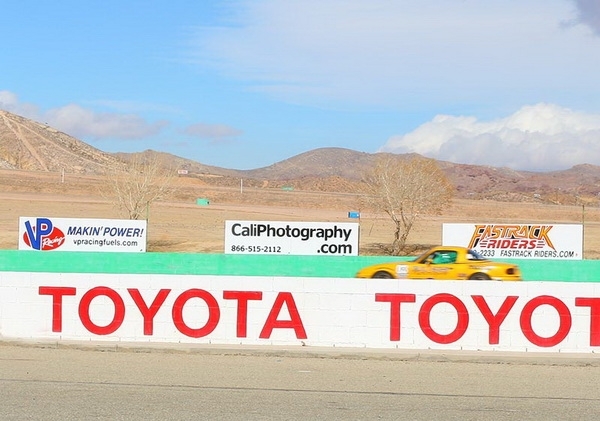 You can also see our sign on the front straight! Our on-site setup includes seven touchscreen viewing stations and a 32″ HDTV.